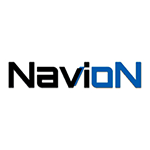 Navion is a russain developer and supplier of telematics soultions for fleet management, asset tracking and personal monitoring. The company develops software GPS trackers which can be used as a low-cost solutions in GPS tracking sphere. Navion is hearquartered in the Republic of Dagestan, Russian Federation. The chart below shows the changes within the last 30 days in the number units of Navion devices type are connected to Wialon Data Center.